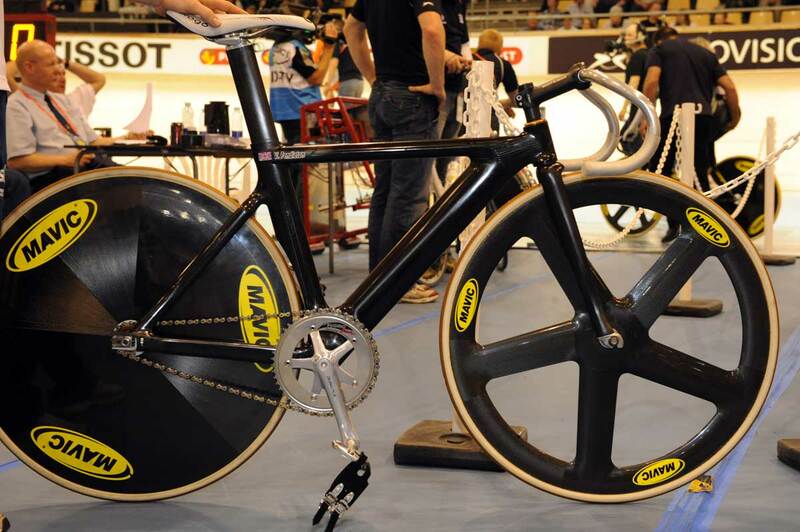 The British team has been told by the UCI that as of Monday, March 29, their track bikes will be banned from competition unless they are available for sale to the general public. All the nations competing in Copenhagen received a letter reminding them that any bike, and all equipment used in competition must also be for sale. The Brits, Australians and Germans are the main nations affected. The British bikes were originally designed and built by Dimitris Katsanis with funding from British Cycling lottery funding and the English Institute of sport. Since their initial use in 2002 they have been refined, largely by the work Chris Boardman did in the wind tunnel before the Beijing Olympics. The British squad have spent hundreds of thousands of pounds developing and then building their own equipment and it has undoubtedly given them an advantage. They have also introduced their own handlebars, both sprint and pursuiting, and cranks. They also use their own helmets and, for the Olympics, specific, one-off skinsuits. A UCI spokesman confirmed to Cycling Weekly that the rule applied to all products used by the teams. 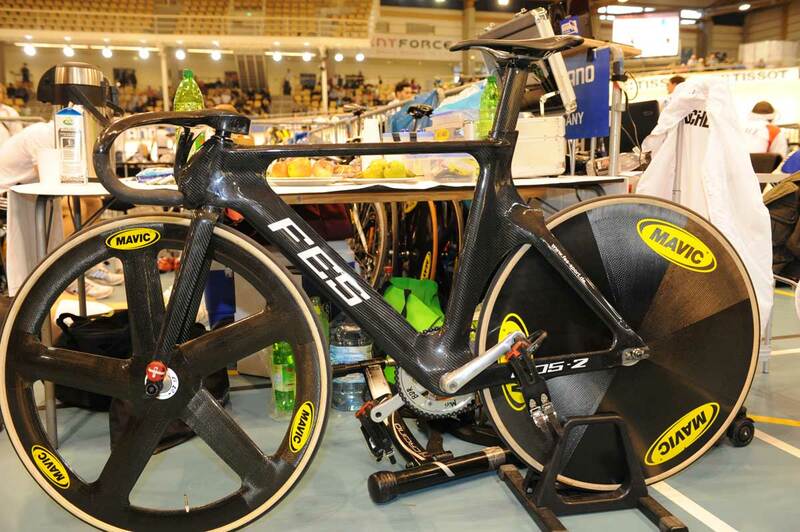 The German team uses FES bikes while the Australian team use BT, a brand common in Australia, but seemingly one that falls foul of the very vague UCI regulations. British Cycling now have a loose plan to put a Pinarello sticker on the down tube and sell one bike at an exorbitant cost. And they might get away with it. The UCI have said that it is not their problem what price the bike is, or how many are available, just that the product is for sale. Without any international competition before the end of October, BC will have until then to come up with a plan. If you do fancy riding on the same bike as Chris Hoy, and with a similar pair of handlebars, the chances are it’ll cost you somewhere in the region of £200,000. Victoria Pendleton’s track bike with standard cranks and handlebars on. The FES bike the German compete on, complete with illegal faring on the front of the head tube. Something they’ve been using for years.